Italian graphic artist Saviantoni is a proud (and busy!) dad of Nathalie, Amelie and Élodie, but his Instagram feed is full of famous characters he turns into pixel art. 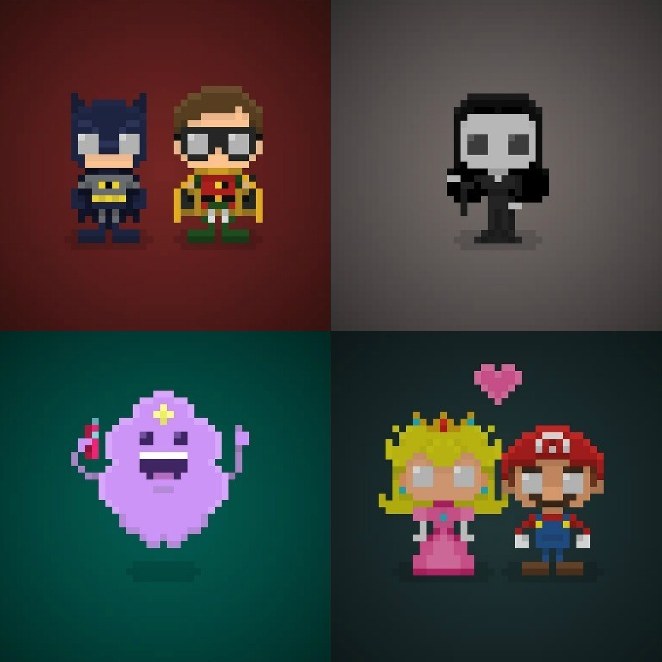 8-bit design fans or just fans of pop culture will have fun recognizing everyone from superheroes to video game characters, action movie stars, Harry Potter & Co, and even the cast of Scooby Doo and The Addams Family. His daughter is going to have one serious bedroom wall mural some day, if she doesn’t already.